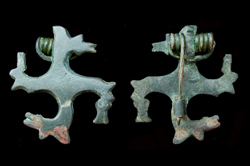 Con/ dark brown patina; pin intact and wearable. Professionally restored with added pin and horse's head. 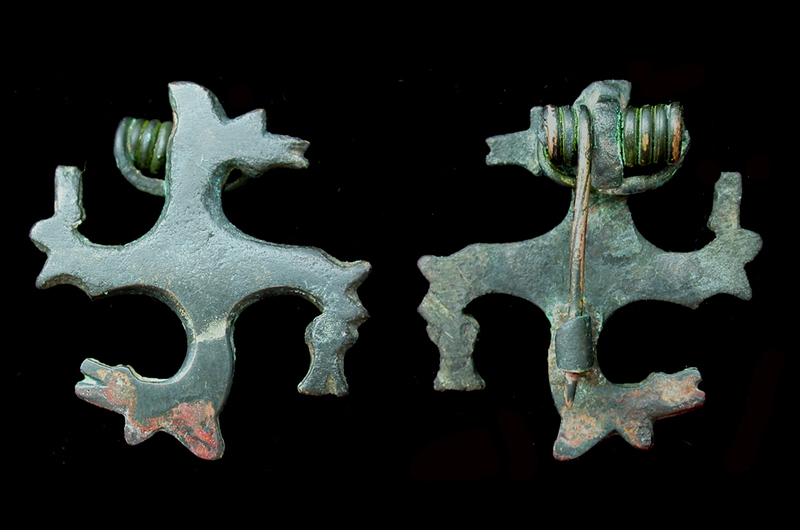 In our very rare zoomorphic brooch, the smith chose to represent the bent cross as horse heads.